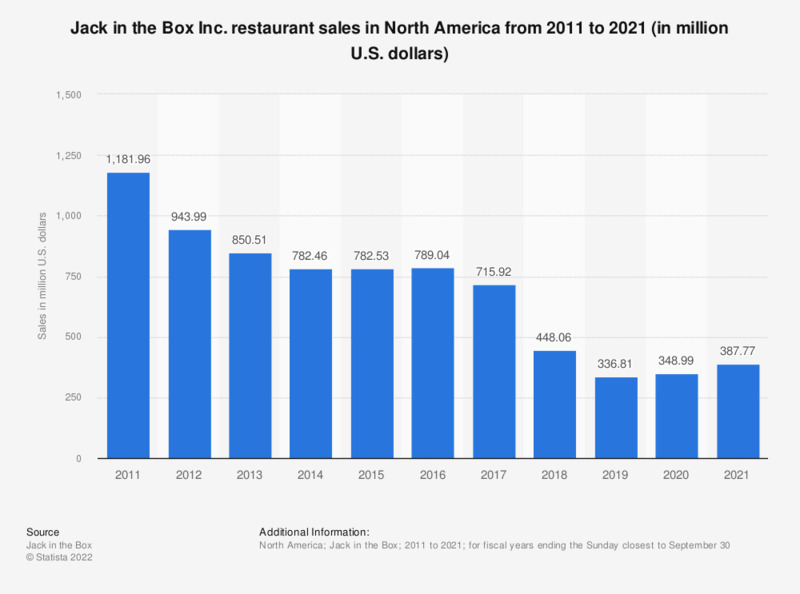 This statistic shows the sales made by Jack in the Box restaurants from 2011 to 2018. Jack in the Box, owned by Jack in the Box Inc., generated restaurant sales of approximately 715.92 million U.S. dollars in 2017. Figures include company-owned restaurant sales only.